With the winter season at its peak, the fruit stalls in every market are flooded with fresh winter fruits. The fruit suppliers in India also turn their attention towards the winter fruits and source them from top cultivators to fulfill their increasing market demand. These winter fruits are packed with high nutritious content that boosts our immunity and helps us in fighting the chilly winters. Not only do these fruits offer high nutritional value but they also keep the glycemic scale ranking within the recommended range. If you are also going out fruit shopping, here’s a list of the top 7 winter fruits that will help you stay healthy this winter season. Let’s have a quick read. The one fruit that floods the markets during winter is apple. 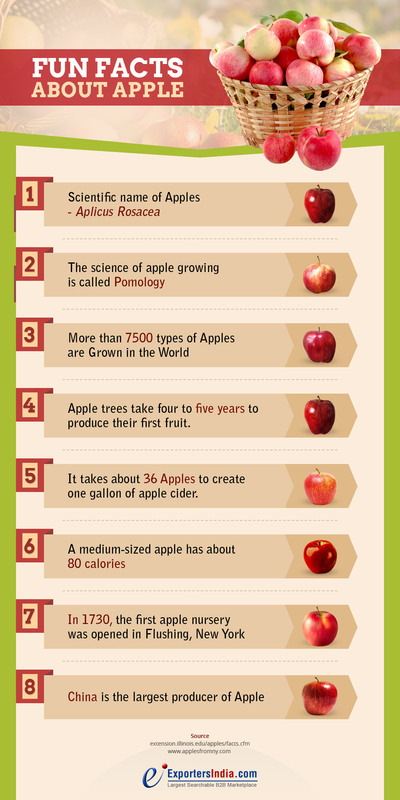 A medium apple has around 4 grams of fibers and sufficient Vitamin C while having only 95 calories. Further, it is also proven to be great for the well-functioning of the heart. Hence, it is rightly said that an apple a day, keeps the doctor away. Many apple fruit suppliers offer freshly harvested apples in the market during the winter season. One can buy them at an affordable price this season and consume it in different forms to stay healthy and disease-free this winter. Whether we talk about Clementine, Grapefruit, Tangerines, Mandarin Orange, or any other cousin of the household winter fruit orange, we’ve all been brought up with the lesson of eating oranges in the winter sun. The orange manufacturers cultivate oranges in the optimal conditions and them the orange suppliers bring them to the markets during winters. In fact, there are many versions of oranges supplied by orange exporters in the market during the winters. In addition to being a great source of Vitamin C, this nutrient-packed fruit also helps in fighting cancer or kidney disease and strengthen the immunity system. Pomegranate suppliers in India are stocked with fresh pomegranates sourced directly from the cultivators during the winters. Also known as a superfood, pomegranates are packed with a variety of minerals and vitamins for fighting off a number of health conditions. Having this fruit during the cold winter season can protect the body from cancer and heart diseases. It also prevents memory loss. Once considered an exotic fruit, today, papayas are offered in abundance by papaya suppliers during the winter season. Although now these fruits may be available all year-round, they are typically winter fruits that can be consumed to fight various health problems in winters. It is rich in Vitamin C, Vitamin B, anti-oxidants, and various other minerals which make it a must-consume fruit this winter. Dates might look like tiny fruits but they are packed with a lot of health benefits. Not only does this fruit has a lot of minerals and vitamins but also has high iron and calcium content. Those with brittle bones or anemia can consume this fruit during the winters to stay away from the winter blues. Dates suppliers in India get this fruit from various cultivators and bring them to the market during winters. These fruits also keep the body warm and nourished during the cold season. Whether eaten raw or included in fruit salad or custards, grapes are one of the most commonly consumed winter fruits in India. This fruit is great for the skin and also keeps the heart healthy during the cool winters. It is rich in anti-oxidants, Vitamins A, Vitamin B1, Vitamin B2, and potassium. The high glycemic scale and fiber content also make both red and green grapes a good winter fruit. All these nutrients improve the immunity of the body during winters. An exotic fruit that is making its way to every Indian household this winter is the kiwi fruit. Also known as Chinese gooseberry, kiwi ranks 4 on the glycemic scale and also contains 141% of Vitamin C along with 11% of daily fiber. In fact, it has higher Vitamin C than oranges and a higher level of potassium than a banana. Its anti-oxidant power also makes it a great citrus fruit. These are just some of the nutrition facts that make kiwi a great winter fruit. Apart from these fruits, there are many other winter fruits like pears, passion fruit, cranberries, persimmons, bananas, star fruit, quinces, date plums, etc., that are great to keep your body healthy this winter. One can also find a number of winter vegetables like green veggies, cabbage, beetroots, turnips, sweet potatoes, radishes, carrots, peas, etc., that should be included in the diet during the chilly winter season. The high nutrition content of these fruits and vegetables can help you fight the winter chills and keep the body in a healthy state.